The Country Life Nursery has now launched, as Country Life teams up with one of the best nurseries in the country. Coblands Nurseries was founded in 1963 growing a wide range of shrubs, herbaceous, grasses, ferns and trees in the ‘coblands’ of Kent. The production nursery extends over 120 acres on a number of sites in and around Tonbridge, growing approximately a million plants at any one time so its range is exceptional. The Country Life Nursery webpage will be able to furnish you with all the young plants you need for your garden, from old favourites to new experiments. 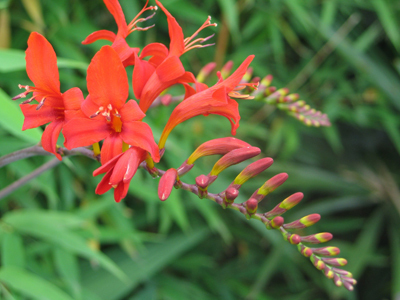 Just type the flower or plant you’re interested in into our online search and choose from the results. There are also special offers on a regular basis – you can order online and your plants will be with you in a matter of days. We also have a featured selection of seasonal plants which are aimed at gardeners looking forward to planting in the next few weeks. Delivery comes within two weeks in sturdy cardboard boxes and can be left with neighbours or in a convenient place if you’re not at home when they arrive, and customer service is friendly and knowledgeable.